Campingplass Manon er en campingplass i Orange, Vaucluse. Denne campingplassen har steder med avgrensning, med skygge, uten skygge og plasser med noe skygge. Det er mulig å leie stasjonære campingvogner. Campingplassen har lekeplass. Denne inspektøren besøker hvert år Campingplass Manon og inspiserer campingplassen for ca. 200 fasiliteter og for andre punkt som forekommer. Inspektøren er en medarbeider fra ACSI og arbeider ikke for campingplassen. Having seen previous reviews on this site we were concerned about the toilet and shower facilities. We fully expected to use our own caravan shower and toilet. I t was a nice suprise to see that the sanitary facilities have been renewed. The showers were hot and the toilet block was clean. The pich wasva reasonable size. The swimming pool could not be used at the time of our visit because the chemicals to maintain its PH readings had not arrived. Orange town centre is a 20 minute brisk walk from the campsite. Orange is an amazing place to visit especially its Roman amphitheatre. Chateux Nuf du Pape is a short car journey away. We did experience the odd power falure which was as a result of the camp site main fuse board tripping. The staff were very helpfull and friendly. Vil du booke Campingplass Manon eller få mer informasjon? Det går bra med opplysningene nedenfor. 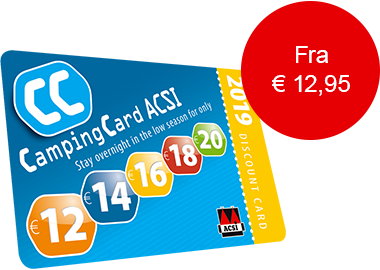 ACSI Eurocampings sender din forespørsel til "Campingplass Manon".